With four seperate and distinct indoor areas with a capacity from 200 to 3000 people, the Edinburgh Corn Exchange has all the space you would ever need for your afternoon of Indoor Team Building or Experiential Learning Workshop. 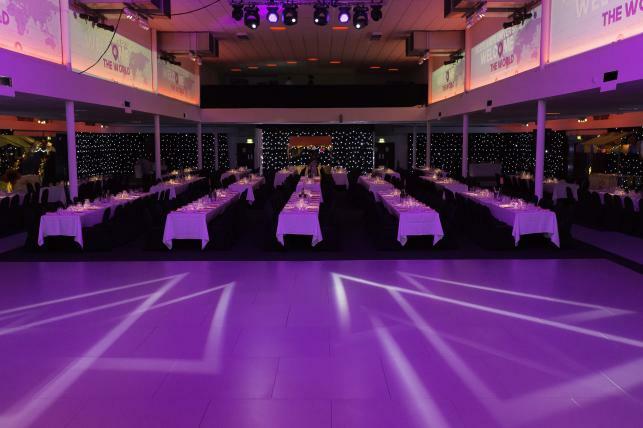 The Edinburgh Corn Exchange is a stylish and versatile venue with real character. From Conference centre, banqueting suite, exhibition hall to a world-class music venue, this grade A listed building is proud of its reputation as one Edinburgh's most flexible event spaces. Combining flexibility, experience and outstanding service the award winning grade A listed Edinburgh Corn Exchange is the capital’s most versatile venue. Whatever you are looking for from a Fun Casino Night or Race Night to a Games Mania Night or The Qube Gameshow, the Corn Exchange is the Edinburgh Venue for you. The Corn Exchange Village even boasts facilities such as ten pin bowling, American Pool, 5-a-side football and a sports bar. Close to the Edinburgh City Centre, airport, train station and the bypass, the Edinburgh Corn Exchange also benefits from on site complimentary parking. Consisting of seven distinct spaces which can be used separately or in combination with each other variety, flexibility and size are just a few of the reasons why the Corn Exchange is the perfect venue choice. Relax knowing that our priority is making your event a success .